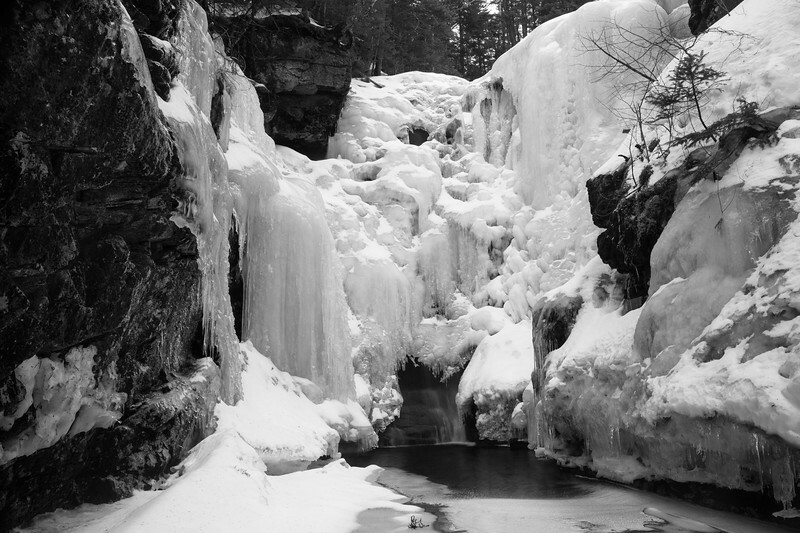 A frozen Hawthorne Falls, found deep in the woods of the White Mountains. Mt. Garfield, NH.